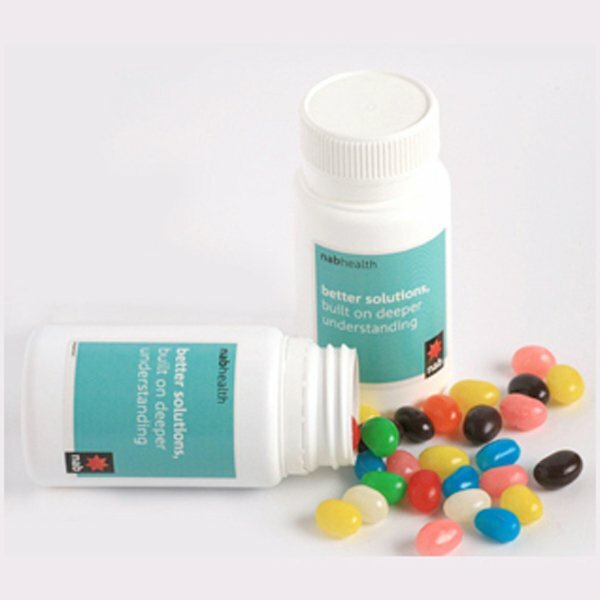 Give your clients and staff the right medicine the unique way – with the promotional Jelly Beans Pill Bottle. A great way to introduce your product to a new market is the promotional Jelly Beans Pill Bottle. Its pill bottle design is cleverly eye-catching and will definitely draw attention to your brand when you take it along to trade shows or conventions. The dimension of the Jelly Beans Pill Bottle is 48mm wide and 96mm in height. It has a printable area that you can customise with your own branding. You can choose from either a 50mm wide by 40mm height or a 75mm wide by 50mm height sticker to print your design. Once you have the Jelly Beans Pill Bottle personalised, this product immediately becomes a formidable ally in your marketing campaign. But the real thing that gives this promotional product its edge are the delicious jelly beans stuffed inside. The custom Jelly Beans Pill bottle is packed to the brim with 120 grams of sugary goodness that’s bound to amaze anyone who gets to taste them. On your trade show, pop open a bottle and give out samples. 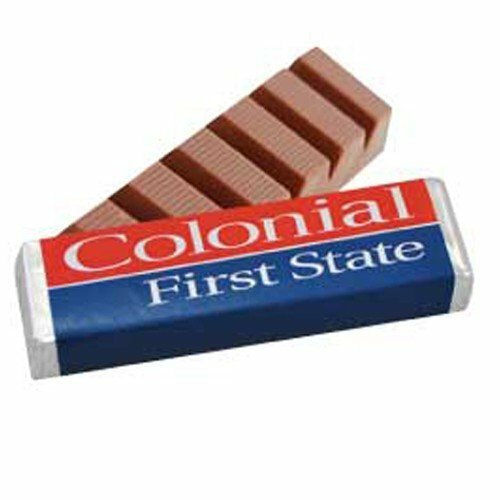 Once they get a taste, they’ll immediate be asking more about your business. What a way to introduce your company! And for recall, give away a bottle with your logo on it. They’ll immediately remember your brand every time they crave for sweets. 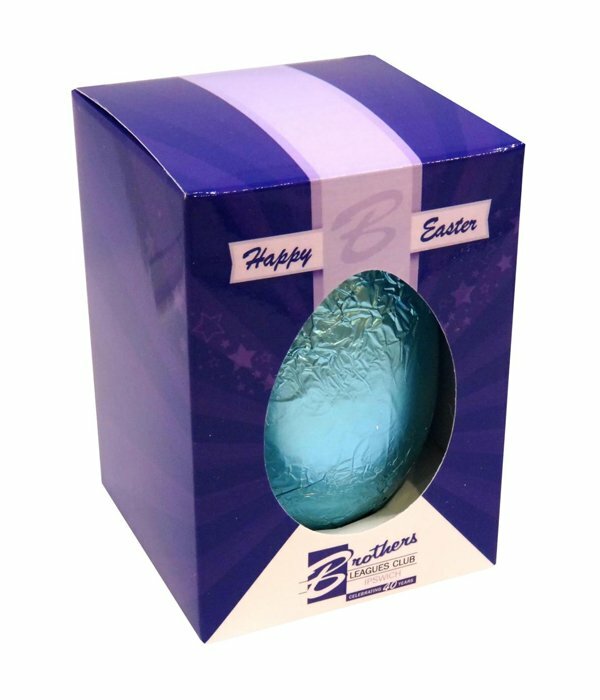 Another fantastic promotional product, the custom Jelly Beans Baby Jar is also going to prove to be a good advertising tool. Or if you want to go the chocolaty way, then the customised Choc Beans in Small Glass Jar would be a great option. Banish a bad case of the blues with our branded Jelly Beans in Pill Bottle. 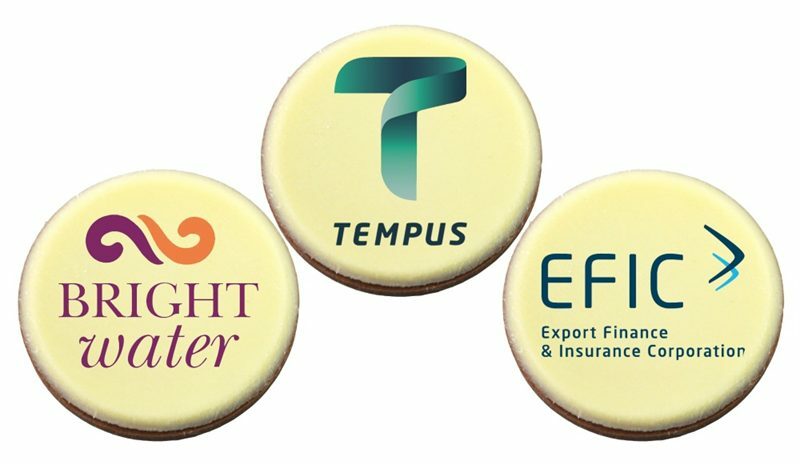 These sweets are great for boosting your marketing as well as team spirit! For more personalized gift ideas, check our Corduroy Snapback and our other promotional caps and headwear. To know about our products and services further, you can give us a call and a customer service team should be able to assist you. Or if you’d rather go for live chat, then hop on that chat box that sits on your screen. We’re very excited to help you out. Call 1300 008 300.